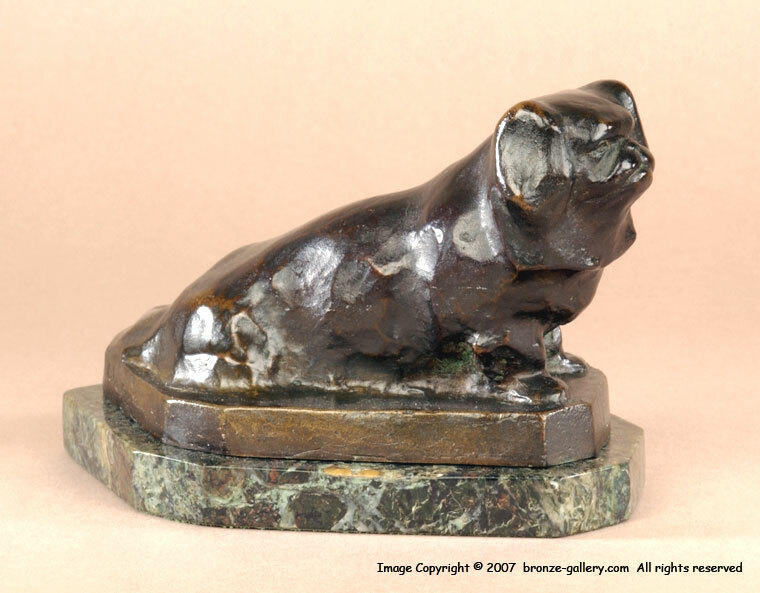 Emilie Fiero created several small sculptures of animals including this small bronze of a Pekingese dog. It is done in a simple angular style showing the influence of the Art Deco period. But it portrays the character of the Pekingese breed very well in the lines of the dog. The bronze measures 6" long and is finished in a rich dark brown patina, it is mounted on the original green veined marble base. 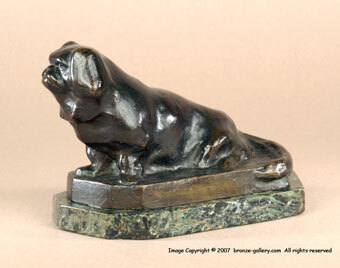 Pekingese dogs are not often found in bronze and this is a rare model by a talented American woman sculptor.